We at MS Machinery a leading manufacturer of Shrink Tunnel Packaging Machine , Fusing, Heat press, and other textile printing machine. Shrink Chamber is a very efficient machine which is capable of doing the sealing and shrinking in one operation, by visual operation. This shrink chamber is quite useful in handling variety of sizes/shapes, no change parts. The chamber starts with least electrical concept operation on single phase within only 5 minutes. It requires single phase power of 15 Amp socket. It is provided with a caster which is mounted for easy operation ability. The sliding platform is adjustable to offer convenience to move the machine while working. Our organization specializes in manufacturing a wide assortment of Shrink Wrapping Machine to our clients at industry leading prices. These are provided in various specifications and extensively used in different industries. Our range is well known for the features such as durability, easy handling, simple operation, corrosion resistant and low maintenance cost. 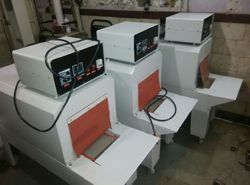 This Shrink Packaging Machines aopts infrared radiation in direct heating of PVC/POP Shrinking membrane to achieve optimal contraction packaging.This systemis made reliable by electronic stepless shift and booster in temperature control,which is applied in contraction packaging for food,beverage,candies,stationery, hardware tools,daily necessities and chemical products. 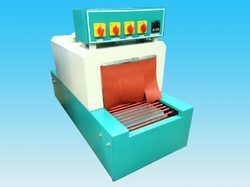 As a trust worthy organization of this domain, we are committed to offer our clients a superior quality assortment of Heat Shrink Packaging Machine. In the offered machine, operators may opt for sealing and shrinking in single operation. Sliding film rack to receive film of various materials such as POF (Polyolefin) or any thin shrinkable film in folded roll form. The processes such as transparent glass cement hood, making sealing and shrinking are fully visible. Moreover, the offered machine is furnished with pinhole equipment for film rolling. We are a reckoned name engaged in developing high quality Automatic Shrink Wrapping Machine. The offered model comes with a fully automatic sealer which offers assurance of efficient sealing. We have developed this machine with heavy duty teflon coated solid sealing knives which makes it the most trusted model of shrink wrapping applications at packaging lines in varied manufacturing industries. 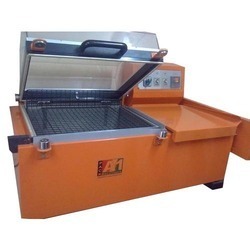 Further, this machine is designed with easy operation and adjustment settings and can be ordered from us at the best price. We manufacture Heavy Duty Shrink Tunnel Machine which can run continuous for long hours without gap for chamber cooling. 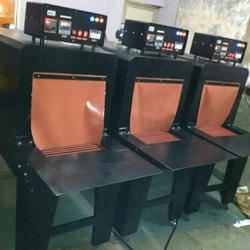 These machines are used to wrap heavy products with LDPE/LLDPE shrink film with higher thickness. Live roller rod conveyors are provided in the machines, variable speed drive system for adjusting conveyor speed, fully re-circulating heating air system enable lesser power consumption, highly efficient heat-up with heaters provided on three sides of the chamber, temperature controlled automatically, variable temperature controller, cooling chamber. 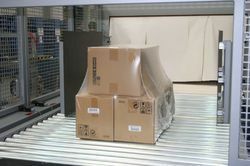 At M S Machinery you can also have a shrink tunnel tailor made to suit the size of your pack. Since in a Shrink Tunnel Machine the wrapping of the film around the product/pack is done manually it opens the roads for film wrapping and sealing with the help of machines. The range illustrated now gives a combination of different types of Film wrappers ( Sealers ) with Shrink Tunnels. 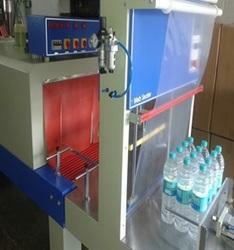 We offer Web Sealer With Shrink Tunnel Machine that is designed for special packing requirements of our customers. Produced using advanced machines and infrastructure, these machines are high in performance, utility, easy to operate and serve for long. 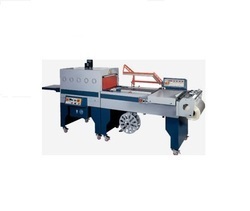 Further, our range of machines finds wide application in various industries for varied purposes. Available in various specifications these can also be custom made as per the clients requirements. Looking for Shrink Tunnel Packaging Machine ?